Technically, Monday’s interview with Stephen O’Donnell was post #100, but since I schedule my Seven Questions series in advance, #101 will have to do. I’m excited about reaching my first blogging milestone, especially considering the fact that I’ve written 3/4 of a novel during the same 10 months. It’s been great to have a sense of community develop in this space, as that was one of my main goals when I launched this blog. Miller-Kelton's latest album, "Tip-Top," was released on Tax Day. What better way to celebrate than giving something away? 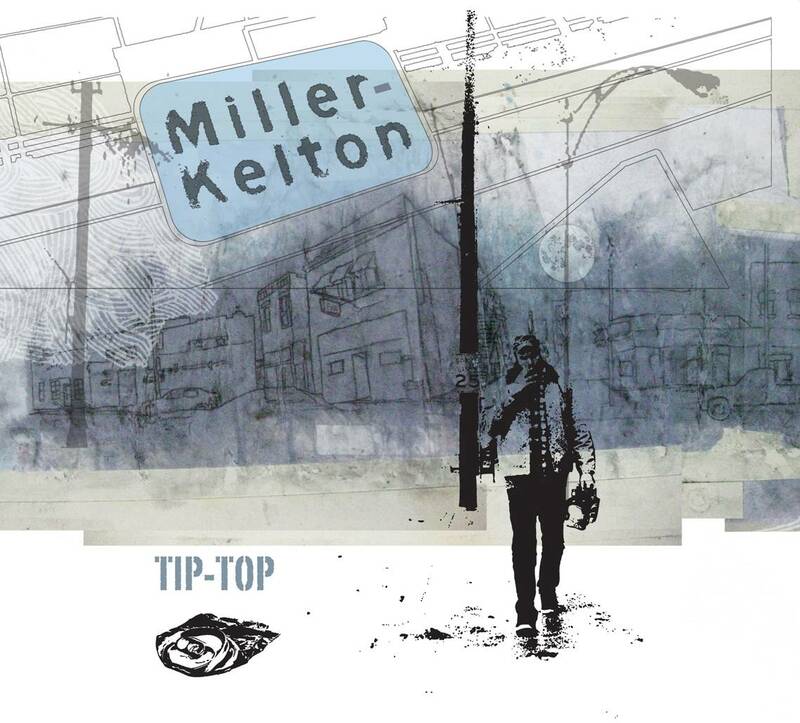 Today I’m offering a free copy of “Tip-Top,” a CD released earlier this year by Miller-Kelton, an Americana band based in Columbus, Ohio. To learn more about the album, read this Seven Questions interview with Miller-Kelton’s songwriter, Edward Reilley Forman. For a chance to win “Top-Top,” all you have to do is answer any one of these questions in the comments: How has social media affected you as a writer? Do you find inspiration in others’ blogs? Do you crystallize your own thoughts while writing blog posts or tweets or Facebook updates? Does reading online content distract you, and if so, do you have any self-imposed rules to keep yourself focused? Feel free to leave more than one comment, but I’ll only count the first as an entry in the contest. I’ll use Random.org to choose a winner the morning of Monday, August 29, West Coast time. The winner will be announced in the comments. And here’s another reason to check back here Monday. I’ll be running the next Seven Questions interview, featuring WIRE TO WIRE author Scott Sparling. His book has earned rave reviews since being published in June by Tin House Books, and he talks about the “dream come true” quality all the attention has had. So stay tuned! This entry was posted in Contest, Writing and tagged 100th post, giveaway, Miller-Kelton, scott sparling. Bookmark the permalink. Congrats on the number of posts you’ve reached! Very impressive :). Thanks, Jo! It’s great to hear your thoughts on blogging and reading other blogs. Blogging is definitely the cornerstone of my online presence, too, as I’m not on FB or Twitter and have only recently joined Google+. How has social media affected you as a writer? Do you find inspiration in others’ blogs? Do you crystallize your own thoughts while writing blog posts or tweets or Facebook updates? Does reading online content distract you, and if so, do you have any self-imposed rules to keep yourself focused? I try to keep a balance, but the main thing is that when I write (or edit) I use pen and paper, so it’s automatically separate from my online activities. Love your observation that we all do everything differently, hence we’re all oddballs. I’ll have to check out your blog and see what anniversary you just had! I was offline most of last week due to a sick kiddo. I tend to find blogs inspiring but other forms of social media distracting, perhaps because blogs invite a bit more thought than Twitter posts. Thanks for your thoughts, Ikkinlala. Good point about blogs. Often posts are really more like essays than the short updates and bits of detail people post on other social media platforms. Alas, I haven’t heard back from ikkinlala, and I can’t find an email address to get in touch. So I’m drawing a new winner of the Miller-Kelton CD. It’s Anthony Lee Collins! Pop me a note at laurastanfill at hotmail dot com with your address, and I’ll ship that out to you, Anthony! Excellent! I never win things either, and I just won a memoir over at Christi Craig’s blog. Hurray–and I hope you enjoy the CD.